Former Councilman (& Alliance Supporter) Shultz re Alliance Use of "800" Number To Call Councilmembers: "So What?" 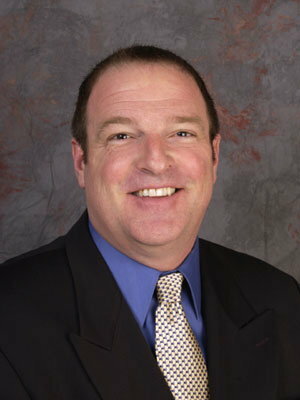 (April 29, 2005) -- 4th district Councilman Patrick O' Donnell, who chairs the City Council's Elections Oversight Committee (EOC), has called a meeting of the EOC for May 2, 2005 at 5:30 p.m. at City Hall to discuss reforms regarding disclosure of corporate contributions to LB initiative campaigns. "We need increased transparency in our campaign contribution reporting in Long Beach," Councilman O'Donnell said in a written release, adding "Voters have a right to know the true source of campaign funds." In the release, O'Donnell proposes that the EOC "explore ways to ensure the public's right to know." The EOC will examine adopting city requirements for: (1) immediate reporting of campaign contributions greater than $1,000; and (2) reporting of contributions in pursuit of placing an initiative on the ballot in Long Beach. "Current law leaves voters in the dark about who is really behind an initiative measure until right before the election," O'Donnell said. 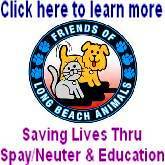 "I think Long Beach taxpayers deserve better information. I hope that, by adopting reporting requirements which increase transparency, we can better understand the motivations of outside corporate interests in Long Beach and protect our neighborhoods." Meanwhile, LBReport.com's April 28th story Why Is "Long Beach Alliance" Using 800 Number On Its Website To "Call Your Councilmember"...When LB Councilmembers Don't Have 800 Numbers? laid an egg with former 9th district Councilman (now 5th district resident) Jerry Shultz. "If the reason for the number is to 'capture' names of supporters (and I don't know if that is the reason), so what? There is no crime here," Shultz emailed us. We thanked Mr. Shultz for his email and asked, "If you were still in office and someone listed an 800 number on a website saying, 'Call Councilman Shultz' and the call actually went elsewhere and the caller's number could be captured for possible future use against actions taken by the City of Long Beach, would you say 'So what?'" Mr. Shultz replied, "I never had a problem with criticism or the method used to obtain information from me or my staff. I ran an open shop, open door policy and attended more than 5,000 meetings while in office. If someone wanted to use unusual means to gather phone numbers, so be it. We have an open society and if it is within the law, I say 'so what?'"